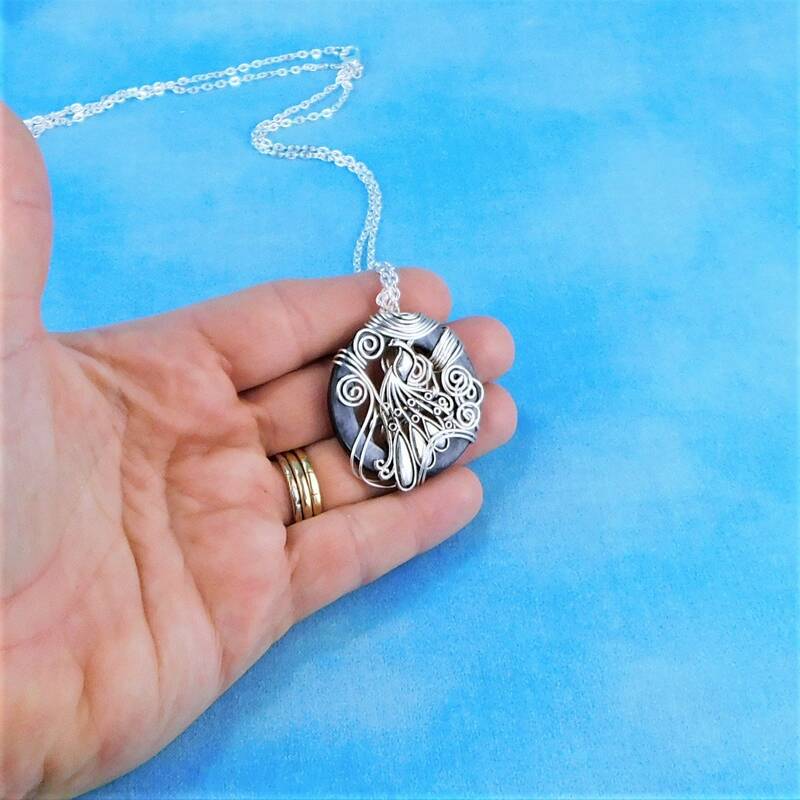 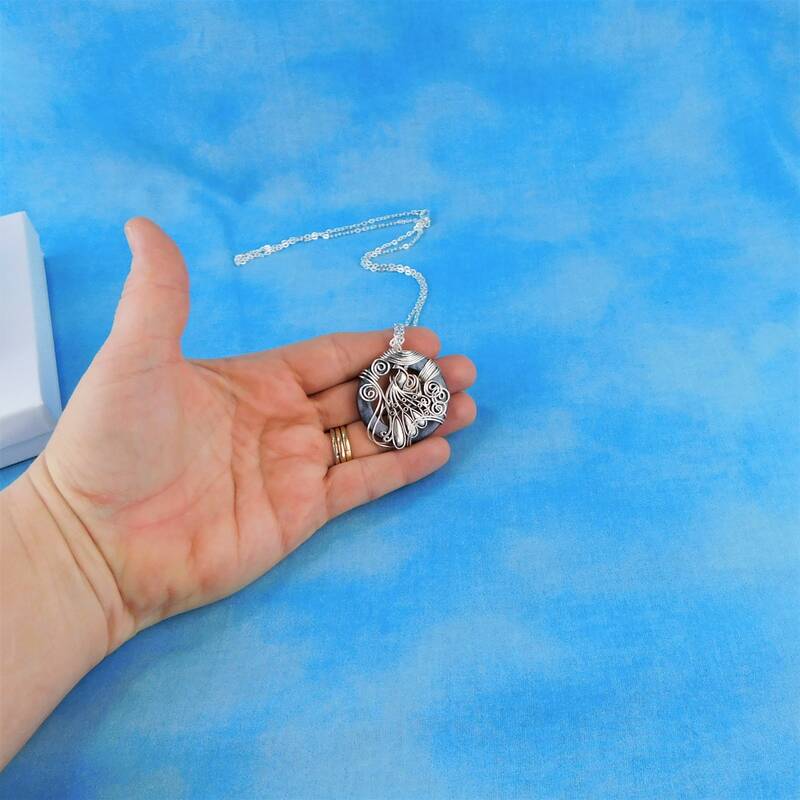 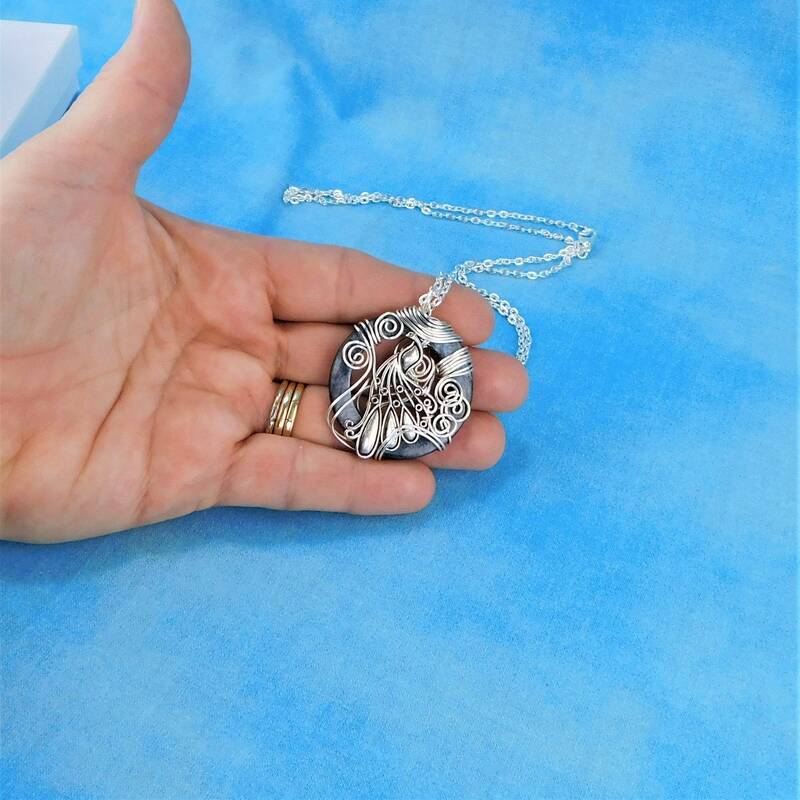 A 1 1/2 inch mother of pearl shell is artistically hand wire wrapped and sculpted with a silver metal peacock charm. 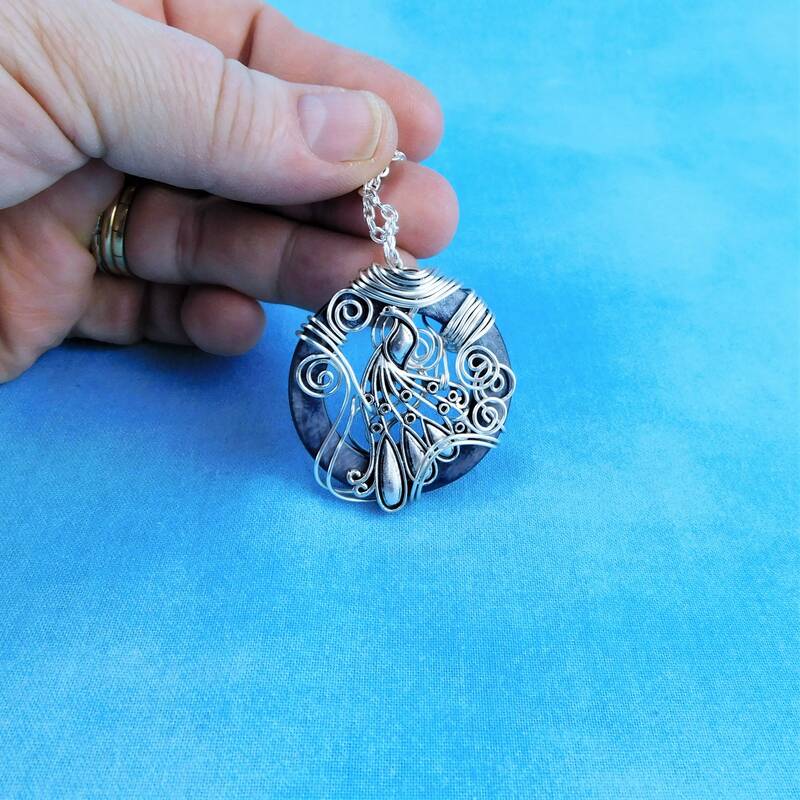 The beauty and grace of the peacock is enhanced by the sweeping curls of wire. 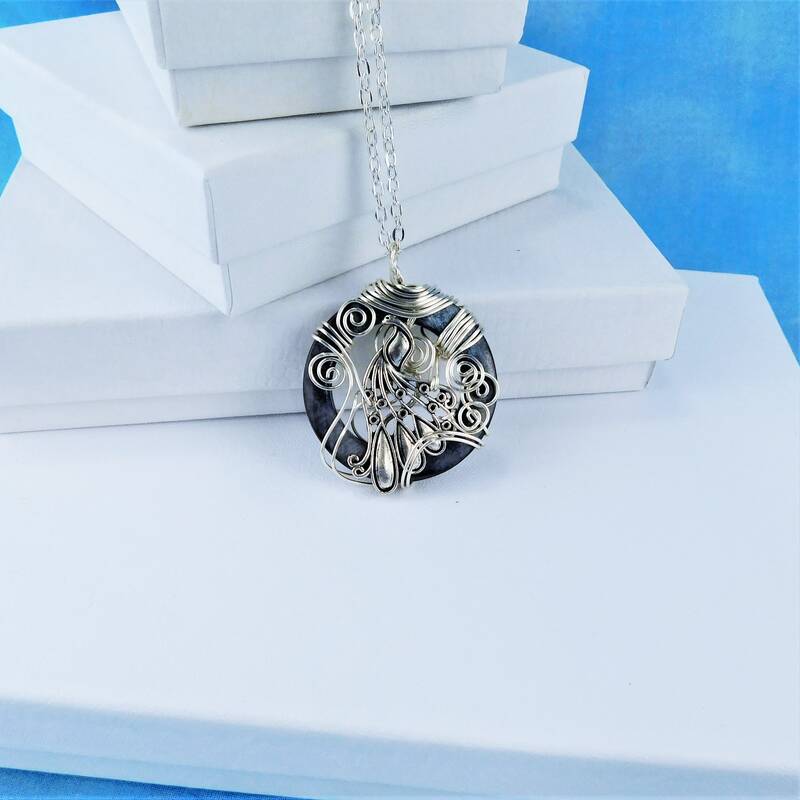 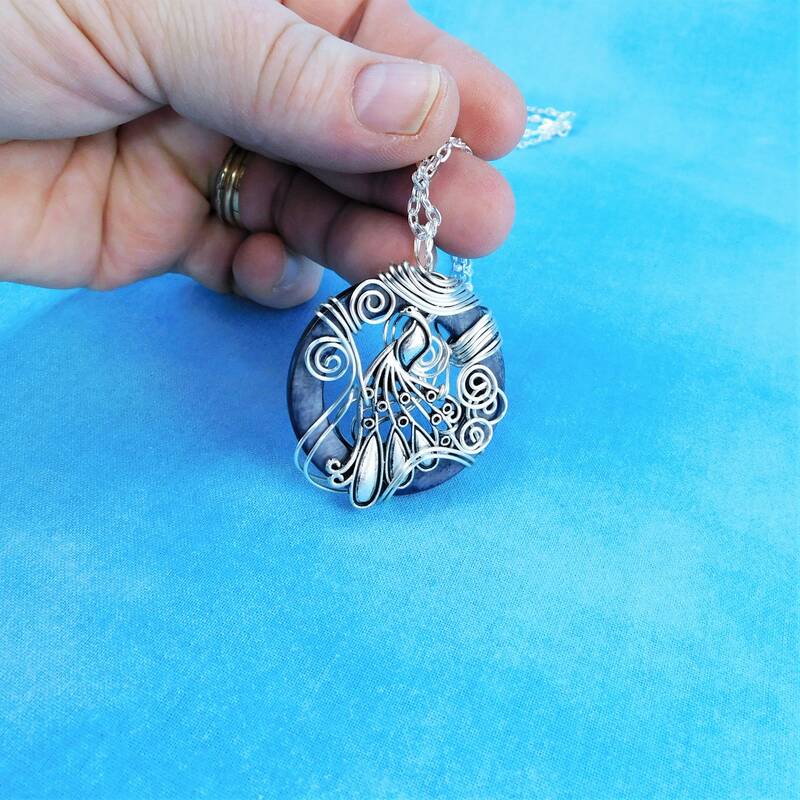 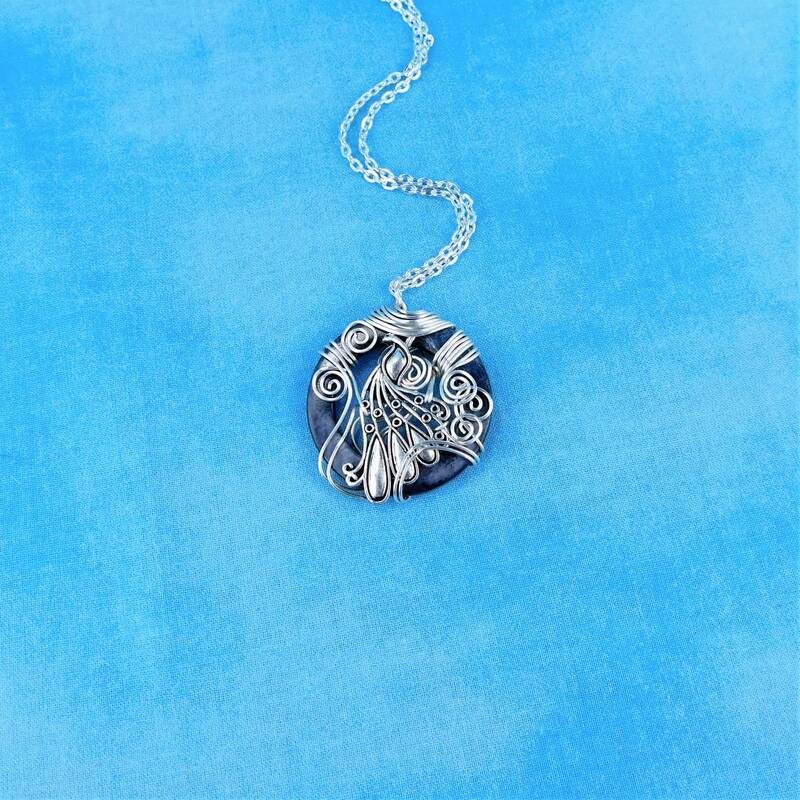 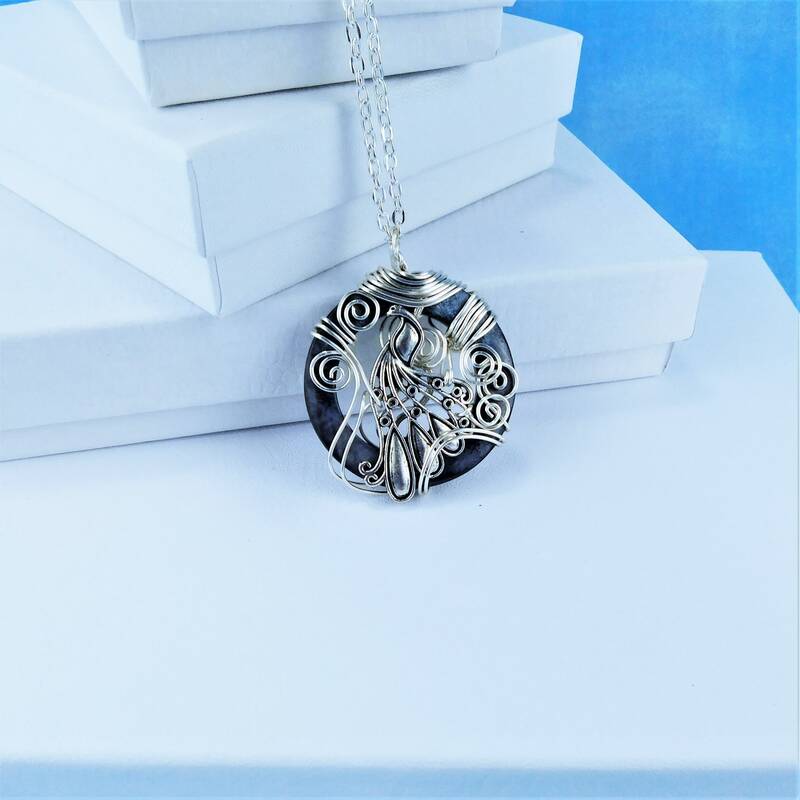 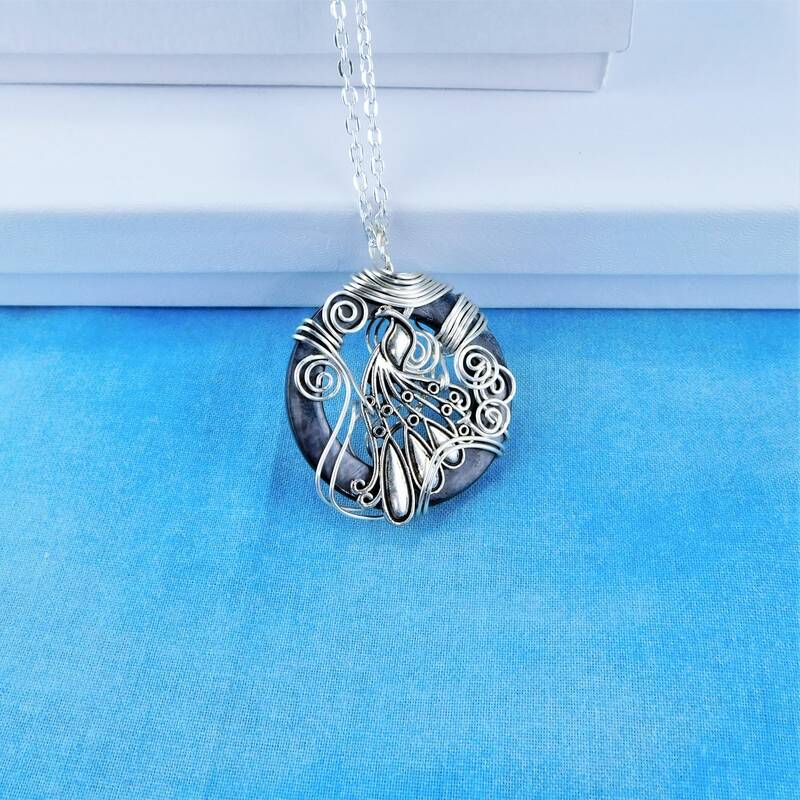 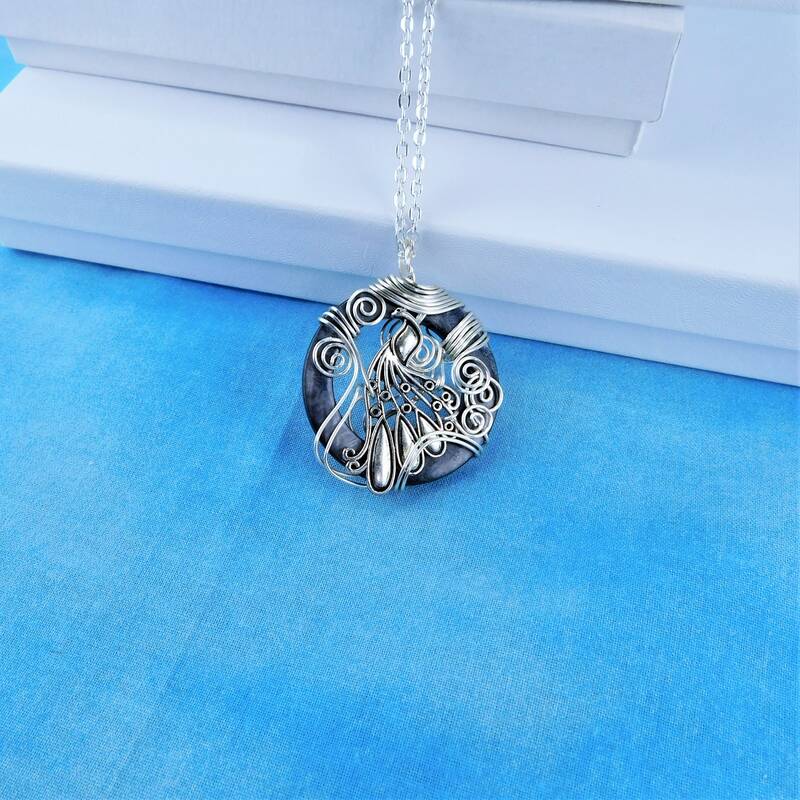 The confident femininity of this peacock pendant would be a fitting reflection of the serenity and quiet power of the woman who wears it.